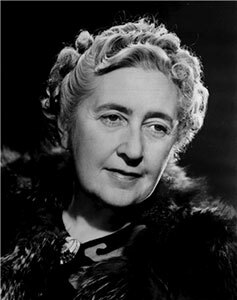 Agatha Christie was, undoubtedly, the Queen of Crime and, as the most prolific and popular mystery writer in history, created a canon of 79 wonderful stories and many unforgettable sleuths including Hercule Poirot and Miss Jane Marple. 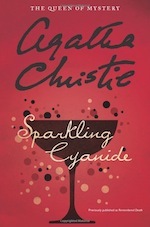 Her works have been translated into 45 languages and billions of copies have been sold around the world. 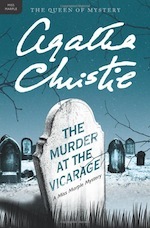 However, Agatha Christie's idyllic childhood in the English seaside resort of Torquay would give few clues to what would become her genius at literary crime. 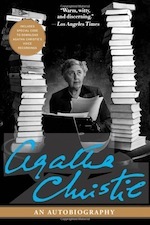 She was born in September of 1890 and, in many ways, little Agatha Miller was sequestered from the outside world. She was schooled at the Miller family home, Ashford, and was a shy child who preferred the world of make believe to reality. She loved to read and also enjoyed piano, singing, dancing and tennis. It was an indulgent childhood in keeping with a well to do family of the day. When she was only 11 years old, Agatha's father died and from that point on her world would change. Her father had money deriving from business interests but after his death, money, or the lack of it, was a continual challenge for the Miller family. Agatha had hopes of becoming an opera singer and had studied music in Paris. Unfortunately, neither her voice nor musical skills at the piano were strong enough for a professional career. At the age of 24 she married Colonel Archibald Christie on Christmas Eve in 1914 just as the WWI was beginning. Christie served as an aviator in the British Royal Flying Corps. With her husband away serving his country, Agatha worked in a Red Cross dispensary in Torquay. This early training would help her immensely in later years as she wrote about doses of poisons and fatal chemical potions. In 1919, the Christie's enlarged their family with the birth of their daughter, Rosalind. 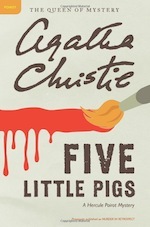 However, Christie was also soon to give birth to another gem. 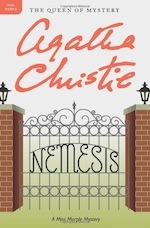 While a young bride, Agatha took on a dare to write a good mystery story. Her sister encouraged her to write one such story. 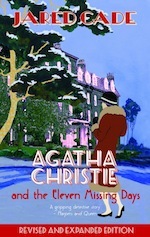 Little did she know that her sister, Agatha, would become the world's best known mystery writer. 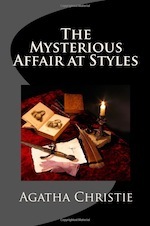 Her first book, The Mysterious Affair at Styles, was written in 1920 and introduced an eccentric Belgian detective, Hercule Poirot. 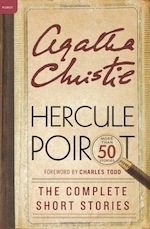 Poirot, was always proud to announce that he could use his "little grey cells" to outsmart any criminal mind he encountered. 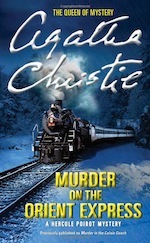 Ten years later, Christie would debut her second most famous detective in the unlikely form of an elderly and often just plain nosy woman, Miss Jane Marple. 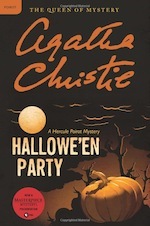 While Poirot brought his years of training with the Belgian police to solving crimes in the stately homes of England, Miss Marple lived a simple life in the small village of St. Mary Mead. There, from her cottage door, she could see the best and worst of human nature in her own village. 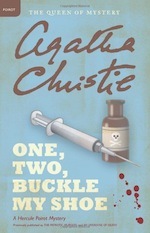 In numerous books, Miss Marple would be called on to solve crimes in her quaint village and around the world. 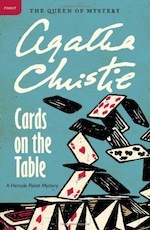 Both of Christie's famous characters were featured in numerous books, short stories, feature films and movies made for television. 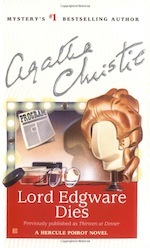 She also created other characters including Tommy and Tuppence, a husband and wife team of crime solvers. 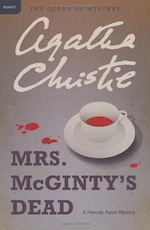 In addition, Christie penned a series of romantic novels under the pseudonym of Mary Westmacott. 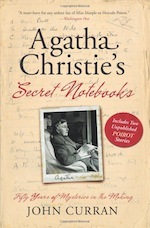 Emotionally stung by an unexpected request for a divorce from her husband, Archibald Christie, Agatha disappeared for several days in 1926 and the newspapers of the era had a field day investigating the mystery surrounding her whereabouts. Not only had her husband astounded her by telling her that he was in love with another woman, Agatha had recently been devastated by the death of her beloved mother. She drove off in her Morris motor car and it was later found crashed in Yorkshire. For 11 days she was not seen by a living soul. It was later discovered that she was staying in a hotel in Harrogate in Northern England under an assumed name to escape what must have been a horrible emotional shock for her. The complete details of where she spent those 11 days have never been uncovered and Christie herself refused to talk about the incident or respond to any questions about whether she suffered from a case of amnesia or depression. 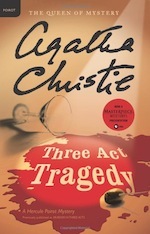 A fictionalized account of this mysterious incident was dramatized in the 1979 film, Agatha, starring Dustin Hoffman and Vanessa Redgrave. 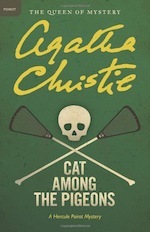 Seeking solitude and retreat from her recent divorce and the publicity which surrounded her disappearance, Agatha embarked on a solo adventure in 1928. She traveled alone on a deluxe train, the Orient Express. Her destination was to be the warm sands of Baghdad. Perhaps she sought the warmth of the sun and the solitude of the ancients to heal her broken heart. Or, perhaps, she just needed a change of scenery and a new destination amid exotic scenery to clear her mind and refocus her life anew. 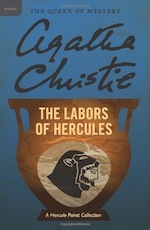 While vacationing in Baghdad, Agatha was invited to Ur where an exciting archeological excavation was in full swing. Led by Leonard Woolley, a wealth of artifacts of the ancient civilization had been found. 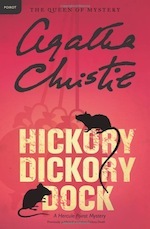 Agatha reveled in the mystery of the East and was fascinated by the work of Woolley and his crew. She quickly became friends with Woolley and his wife, Katherine. She enjoyed herself immensely and returned to Baghdad the following season. 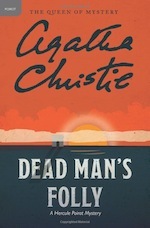 Katherine Woolley suggested that Agatha should not be traveling unescorted on her journeys in the region and suggested that a young archeologist, Max Mallowan accompany her when she left the desert encampment. 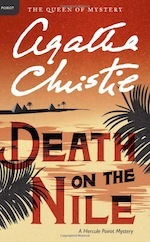 The quiet, dark man impressed Agatha and within the year Agatha Christie would marry Max Mallowan and spend the rest of her life with him in England and at various archeological digs in Iraq and Syria. 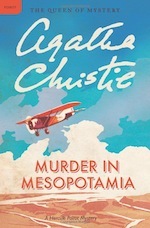 Max and Agatha were both enthralled with archaeology and when Mallowan was assigned to excavate the ancient capital of the Assyrian Empire at Nineveh in 1931, Agatha Christie was delighted to accompany her husband. Over the decades, Mr. and Mrs. Mallowan would travel throughout Syria and Iraq. 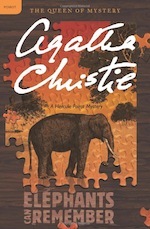 Mallowan working on archeological digs and Christie writing many of her most popular mysteries. 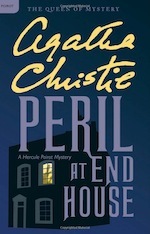 Murder on the Orient Express, Murder in Mesopotamia, Death on the Nile, Appointment with Death, and Death Comes as the End. 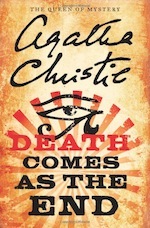 Death comes as the End broke with tradition and centered on a murder mystery set in ancient Egypt. The couple also purchased a house, Winterbrook Lodge, near Wallingford, England not far from her childhood home of Torquay. 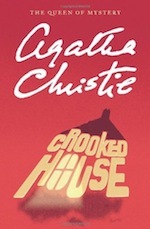 Christie continued her life as a very famous but also a very private person and spent the remaining years of her life at home in Winterbrook writing her mysteries. She was a faithful member of her church and when she passed away in 1976, she was buried at St. Mary's Church in nearby Cholsey.